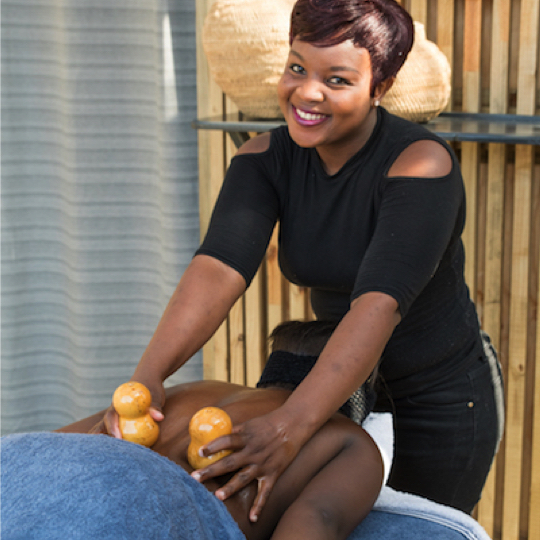 Take your body on a sense safari with a traditional African massage at our onsite bush spa. Enjoy peace and tranquility whilst relaxing in the magnificent natural surroundings of our Bush Spa. We only use the finest handcrafted 100% natural oils by Godding&Godding, a proudly locally produced product. The plants, the trees and the herbs used in the oils are infused with pure silk and have active ingredients from Fynbos, Baobab, Marula and Aloe Vera. Our therapist can use either calabashes or rungu sticks during your treatment. Kindly note that no couples massages are available.